The first step to education is having a space to learn. Volunteer Morocco uses it Health/Medical Service Learning Trips to help with the education of the youth in the rural villages. The health of the mind is considered just as important as the physical/medical health of the villages' inhabitants. Sometimes the most important factor in having a school is creating an atmosphere that will encourage students to come. Participants on the Service Learning Trips have helped build a space to be used as a classroom. Volunteer Morocco would like to thank the Rotary Club of Agadir, Students of United for Service, Riad Imsouane Association and Mehdi Arslan for their generous fundraising efforts and donations to support the educational programs in Ighilnabah Village. 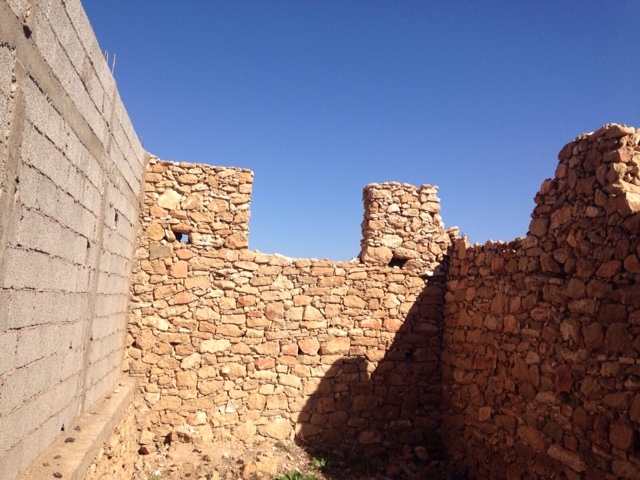 A new classroom was built with funds raised from the Rotary Club of Agadir to accommodate the increase of children attending the educational programs in Inghilnabah Village. Service Learning Trip participants add little color to the classrooms used by the young students in the villages. 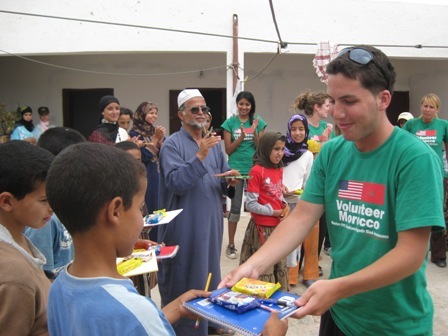 Volunteer Morocco has facilitated the donation and distribution of school supplies and books to over 1000 students in the villages since 2007. This is part of our commitment to making sure that the children of the villages have the supplies they need to do well in school. INTERESTED IN WHAT WE'RE DOING? Find the latest News and INFORMATION! INTERESTED IN VOLUNTEERING? APPLY TO ATTEND OUR PROGRAM.